The desire to care for your elderly, disabled, or chronically ill family member comes from a place of love and compassion. When you make sure he or she is taken care of and has the best possible quality of life, you are communicating an important aspect of who you are. Your care giving says that you are patient, nurturing, and benevolent, and that you’d go to the ends of the earth to help someone who is special to you. When you are someone’s caregiver, it can be all too easy to forget about you and your own needs. But if you neglect yourself in such a demanding job, it may give rise to unintended consequences that may dismantle your once-healthy relationship. If you neglect your own life and pursuit of happiness, you may harbor feelings of resentment, which can fester and grow. Before you know it, your compassionate care has become merely a task of obligation, which isn’t fair to either you or your loved one! Because in the end, your loved one wants happiness for you as well as for themselves! 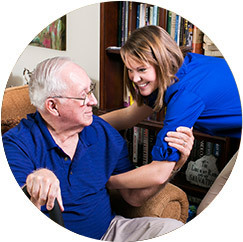 Our Las Vegas elderly respite care services here at FirstLight enable you to take a breather from your care giving responsibilities and get back in touch with yourself now and then. 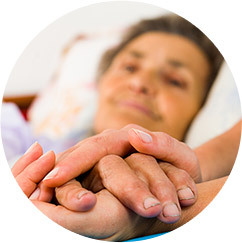 You can trust that your loved one will be in good hands while you are away, safe with our team of compassionate and skilled professional caregivers. We are here to provide respite care anywhere in Clark County, including Henderson, Las Vegas, or Summerlin, in any type of setting and for a variety of time periods; a few hours here and there, a full day, overnight, and even long-term if needed. 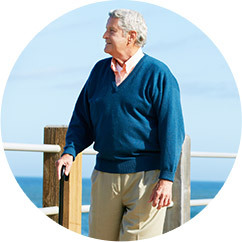 We can set up anything from a one-time assistance to a recurring care schedule, and while we specialize in elderly respite care, we are happy to help any adult in need. You are a caregiver, but that’s not all that you are. There are so many other things that make you you, and if you neglect those things like family, hobbies, interests, and partnerships, trouble may be ahead on the horizon. Increased stress levels, exhaustion and burnout, and even concerning health difficulties can be experienced by family caregivers who don’t make enough time for themselves and their life pursuits. It’s perfectly normal to desire some time away for yourself, and you should not feel guilty about this. You deserve your own down time; a chance to break out of the routine to recharge and relax. Making this a priority is healthy and can even improve the relationship you have with the person you care for. Because you’ll both be better off when you are refreshed, alert, and happy. Here at FirstLight, we want to help you reclaim the balance in your life, without sacrificing the level of care and attention that your family member deserves. Contact us today to see how we can provide elderly respite care for the communities Clark County, including Henderson, Las Vegas, and Summerlin.